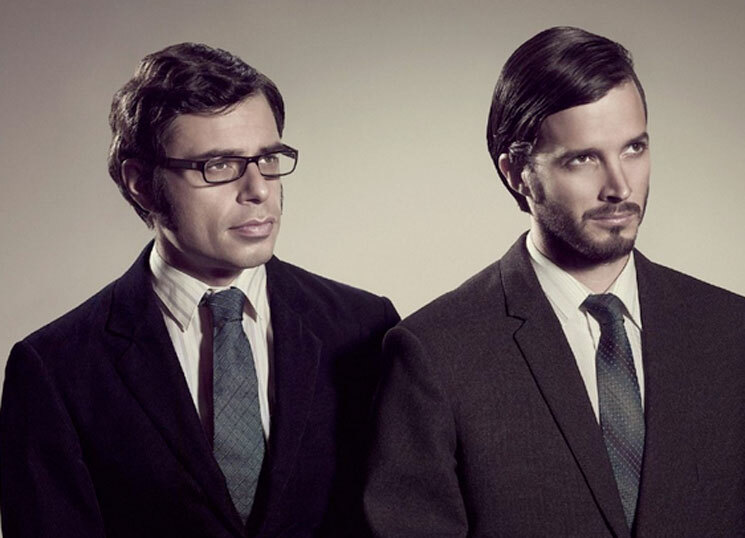 There have been various rumblings in the past year or so that Flight of the Conchords have something new in the works, whether that means selling a new run of TV shows or eyeing a tour with new material. Now, the band billed as "New Zealand's 4th most popular guitar-based digi-bongo a cappella-rap-funk-comedy folk duo" are working on a movie and planning for a tour. It's too early to start celebrating just yet, since the proposed film hasn't been green-lit and the script isn't done yet. That being said, the band's Jemaine Clement made this promising comment in an interview with Indiewire: "We have actually started writing one. But who knows if it will ever be made, we've written some notes for some different film ideas. We're not down to the stage where we're going, 'The film is going to be like this,' it could be this, this, this, this, this." Flight of the Conchords have never taken their act to the big screen. They have, however, had a BBC radio series and two seasons of TV shows on HBO. Their final season on HBO was in 2009. As for possible tour plans, Clement told Consequence of Sound that his role in upcoming adaptation of Roald Dahl's The BFG resulted in them setting aside summer tour plans. He said, "But we are hoping to announce a tour. We'll announce it before the end of the year, hopefully, and then some time next year get on the road." The pair have toured as recently as 2013, but they've mostly worked separately in the last few years. Clement has made headway as an actor (he stars in the newly released People Places Things), while Bret McKenzie has worked on the music for two Muppets films. Flight of the Conchords haven't issued an album since 2009's I Told You I Was Freaky.